"Farman" redirects here. For the surname, see Farman (surname). Farman Aviation Works (French: Avions Farman) was a French aircraft company founded and run by the brothers Richard, Henri, and Maurice Farman. They designed and constructed aircraft and engines from 1908 until 1936; during the French nationalization and rationalization of its aeronautical industry, Farman's assets were assigned to the Société Nationale de Constructions Aéronautiques du Centre (SNCAC). In 1941 the Farman brothers reestablished the firm as the "Société Anonyme des Usines Farman" (SAUF), but only three years later it was absorbed by Sud-Ouest. Maurice's son, Marcel Farman, reestablished the SAUF in 1952, but his effort proved unsuccessful and the firm was dissolved in 1956. The Farman brothers designed and built more than 200 types of aircraft between 1908 and 1941. They also built cars until 1931 and boats until 1930. In 1907, Henry Farman bought his first aircraft from the Voisin; and soon he began to improve its design of the aircraft, as a result it was known as either Farman I or Voisin-Farman I. In 1908, after further modifications which included re-covering it with 'Continental' rubberized fabric and addition of side-curtains, the aircraft was re-designated Farman I-bis. Ailerons were fitted after Wilbur Wright's flying demonstration at Le Mans in August 1908. A second aircraft, to be called Farman II, was built by the Voisin brothers incorporating design refinements to Farman's specification. 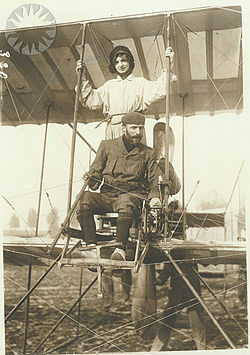 Voisin sold this aircraft to J.T.C. Moore-Brabazon, who exported it to England, where it was renamed the Bird of Passage. 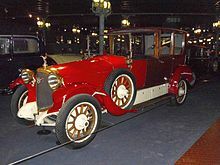 This episode angered Farman, who in early 1909 ended his association with Voisin and started building his own aircraft. Aircraft designed and built by Henry Farman had a HF prefix, while examples designed and built by his brother Maurice carried a MF prefix. During the 1920s, Farman Aviation briefly dabbled in building airboats (known generally by the French term "hydroglisseurs"). Farman's boat-building followed directly from its aircraft experience. During the First World War, Farman-built aircraft engines and propellers from Farman MF.7s were used to build airboats that were successfully used during the Mesopotamian Campaign fought by Britain and her colonial subjects against the forces of the Ottoman Empire in Mesopotamia (modern day Iraq). Following the success of these improvised airboats, Britain began ordering purpose-built airboats from Farman and Charles de Lambert's company for use on the Tigris and Euphrates rivers. Farman Aircraft began producing civilian airboats in the 1920s. Its first non-military airboat sailed in 1920, though its first civilian airboat for sale was Le Ricocheur (pictured at right), a closed-cabin prototype capable of carrying 12 passengers at speeds of up to 125 kilometres per hour (67 kn). Farman marketed airboats for use as water taxis and as light cargo vessels or patrol boats for French colonial governments, particularly on the Mekong and Niger rivers. These later airboats were open-cabin, like the airboats of today, though they tended to be somewhat larger, had higher freeboards, and lacked a protective cage surrounding the propeller. Farman's airboats sold for 25,000 to 50,000 francs depending on the model, a price that proved too steep for potential buyers; the company pulled out of the boat business by the end of the 1920s. ^ a b "Archives historiques". Cercle du Mononautisme Classique (in French). Retrieved 6 July 2018. ^ Opdycke 1999, p. 264. ^ "Brab's" First Flights, Flight, 28 May 1964, p. 895. ^ "Reminiscence of the Essen Raids". Flying. Vol. 4 no. 1. New York City: Flying Association at the office of the Aero Club of America. January 1916. ^ a b Farman, Avion (1922). "Hydroglisseurs Farman" (Press release) (in French). Boulogne Billancourt, France: Farman Aviation Works. Retrieved 2018-07-09 – via Gallica. Green, William; Gordon Swanborough. The Complete Book of Fighters. Godalming, UK: Salamander Books. pp. 201, 202. Wikimedia Commons has media related to Farman. This page was last edited on 16 September 2018, at 03:26 (UTC).